The chilly winter weather is approaching, and while you may be primarily concerned with staying warm indoors, you should also pay attention to your air quality. Indoor air quality doesn't refer to temperature, but rather the cleanliness of the air and a balanced level of humidity, free from pollutants and bad odor. So how can you improve your indoor air quality this winter season? A professional HVAC service in Hampton, GA, would recommend these techniques. Extremely high or low humidity are both bad for your home. Too much humidity invites mold and mildew, and can rust your heating and cooling appliances. Too little humidity can make you feel ill, especially if you're prone to allergies. 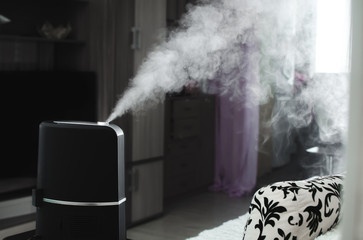 HVAC companies can install advanced dehumidifiers in your home, so your indoor air is always just right. Keep your home clean this winter. Dust, pet dander, and dirt tracked into your home can circulate through your air system, worsening until the air smells very stale. Dust, vacuum, and mop your floors regularly. Some decor can actually improve your indoor air quality. For instance, beeswax candles don't emit smoke. Rather, they release negative ions and help purify your air. Popular Himalayan salt candles have been said to do the same. Also try setting a plant indoors. Plants naturally clean the air of carbon dioxide and toxins, then release fresh oxygen. Smoking isn't just terrible for your health, it can also hurt your pets and loved ones. If you must smoke, never do it indoors, and don't allow guests to smoke in your home either. Smoke can cycle through your air system and make your air unhealthy for all who enter it, lingering for a long time without dissipating, hence why smoke smell is hard to get out of homes, even long after the smoker moved out. The problem with bad air quality is that by the time you notice poor humidity levels or bad odor, the damage has been done. Mold may have grown, dust may have built up in your cooling or heating appliances, and your home may be full of pollutants. 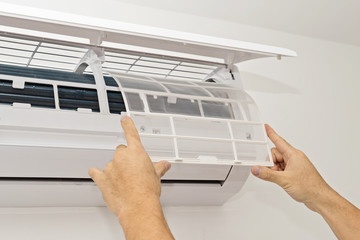 If you want to know how to detect poor air quality and fix it before anything bad happens, call HVAC contractors near you for a regular maintenance inspection. A professional HVAC service in Hampton, GA, can spot problems with your air quality and take steps to fix it. The sooner you contact an HVAC repair team, the sooner you'll have fresher, cleaner, better-smelling, and healthier air - Just in time for the holidays, too. So, call Omega Heating & Air today for air quality services as winter approaches.